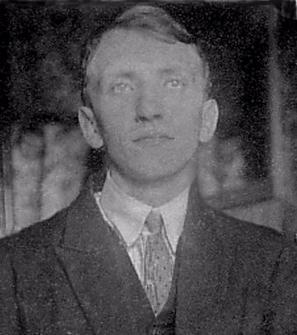 Maurice Blanchot’s own biography—the writing of his life—attests to the experience of life as, through, and by way of writing. We know almost nothing about the man, even when we include his and others’ writings about his life. The first sentence of his obituary in The Guardian described Blanchot as “not so much a private person” as one who, despite living to be ninety-five years old, seemed to be “perpetually absent.” Even the most basic biographical information escapes us, thwarting our efforts to know anything about Blanchot the man. Official documents confirm two birthdays, and depending upon the source, he was born either September 22 or September 27, 1907. He rarely worked in the public eye, and (except for a street demonstration in May 1968), he never spoke in public, appeared on radio or television, overtly participated in politics, nor allowed himself to be photographed. Although living on the periphery of Parisian intellectual life, he mostly resided in isolated villages outside the capital. His writing, then, must serve as hesitant testament to biographical details, but even this avenue comes up against dead ends of information. He labeled his books throughout his long life “posthumous” in an attempt to release the text from its ties to a living author. For Blanchot, a text cannot live as long as it remains an artifact from a lived life, a relic attesting to an “authentic” experience by a “real” blood-and-flesh person. His fiction, like much of his philosophical and ostensibly biographical work (such as The Instant of My Death ), is populated by nondescript characters or personae and set within stark, unadorned situations and locales, further speaking toward or against the neutered ontology that can dissolve difference and meaning from otherwise relational—and hence ethical—life (as lived phenomenon). And yet every bit of biographical material that surfaces indicates a rather remarkable life: befriending Emmanuel Lévinas in the mid-1920s while both were studying philosophy at the University of Strasbourg; hiding Lévinas’ wife and daughter from the National Socialists during World War II; befriending Georges Bataille in 1940 and later partnering with Bataille’s former lover Denise Rollin; escaping certain execution by a German firing squad in June 1944; and chatting with Michel Foucault during the street demonstrations of Paris in 1968. Blanchot’s friendships had a very substantial bearing on both his philosophical and literary writings. His books were written as if they were transcriptions of conversations unmoored from any context or character study. Writing, in fact, mediated his relationships, especially his relationships with his most intimate friends. During the war, he somehow managed to help Lévinas, who was at the time in a prisoner-of-war camp for French soldiers in Germany, maintain contact with his family through letters while they were in hiding. Curiously, and although he refused to meet the man in person, he continued a “close” friendship with the poet Edmond Jabès for several decades via letters. Blanchot’s (unwritten) life, then, was at its most basic—and its most extreme—a life of letters, mediated by the work and demand of writing, and whose written word allows for the sustaining preservation of the irreducible relation between self and other, and among writer, the written, and friend. ♦ Infinite-limited, is it you? Because writing, for Blanchot, exposes all of us (authors, readers, translators, interpreters) to the impersonal anonymity of (and in) language, our task of assigning “reality” to our experience is problematized by the ethical demands of writing itself. Can we declare with any confidence that the narrator who speaks through Szymborska’s poetry, for example, is any more real than Szymborska herself? What criteria should we use to measure the degree of authenticity or veracity of one over the other? Having never met Szymborska in person nor conversed with her face to face, how could I ever recognize the woman herself, the one who has a definite biography (born on a certain date in a specific location) even should I have in my possession a recent photograph of her and a current address? Would it not be easier, we must ask, to instead recognize the narrative voice—what often gets reduced to “literary style”—of an unknown poem as being particularly Szymborska-esque than it would be to meet the actual author without questioning her identity? Blanchot would even go so far as to allege that writing exclusively expresses definitive reality, that the biological and biographical aspects are secondary to or derivative of the narratological (as found in the text itself). Blanchot stresses that all that we can possibly know of any author is what is (already) written about him or her. (But let's not forget that he also maintains that the text says nothing of its author.) In his “The Experience of Proust,” for example, Blanchot articulates how the narrative voice not only undoes the man Marcel Proust but also establishes his authority through the text’s (as well as the author’s) deauthorization. We typically read most author’s work as running somewhat parallel to the narratives they write, acceding, in this instance, that the taste of the petite madeleine and the involuntary memory it evoked were as significant to Proust the man as they were to Marcel the narrator in the inarguably semi-autobiographical novel À la recherche du temps perdu. Yet this moment that defines Marcel’s life, Blanchot reminds us, becomes known to us solely through the narrative. The memory is memorable because of the testament of the written word. Proust has translated any reality of the event into the textuality of his novel, and it is only by way of the novel that the event’s reality is made accessible to us here and now. The self, then, becomes externalized—exteriorized—in writing, and that writing becomes the basis of the self’s own self-knowledge. The more removed we are from the event, the more we rely on the narrative as evidence of that event, so that the writing bears the event’s reality in a way that “pure” memory or experience cannot. Similarly, Blanchot would want to point out that the only access we have to Socrates’ critique of writing is through the written work. Socrates’ denigration of written language in the Phaedrus is known only through the medium that actually preserves the memory of that denigration. The myth of the origin of written language as told by Socrates in the Phaedrus: Theuth declares that written language, the materiality of the word, will make the Egyptians wiser by improving their memory. But Thamus instead insists that the technical gift of letters will, in fact, produce forgetting. When Egyptians rely solely on writing to remember, they are reminded from the outside with foreign signs and no longer trust the authentic memory emanating from within their souls. How could writing, as seen from this perspective, ever bring about an ethical relation? It can be argued, perhaps, that it was not until Blanchot, who lived at the junction of phenomenology and poststructuralism, and within the milieu of post-World War II French philosophy, that writing finally could be accorded its inherent ethical essence, that the intrinsic ethical nature of writing could be uncovered. Is it simply that thinkers since Plato never fully examined the phenomenality of written language? Perhaps so. Approaching an answer to such a question is beyond the scope of this project. Nonetheless, we can most likely agree that Heidegger’s work on language began to set the stage for this rather late development that sought to locate ethics within writing. Heidegger’s verdict—“Die Sprache ist das Haus des Seins.” —begins to reveal not only the ethos (ή̃θος qua dwelling—das Haus—as well as ethics) of language but also—and equally important to Blanchot’s project—the da of Dasein, the thereness of human being which Blanchot, by way of Lévinas, will come to understand as the terrible il y a of non-relational, neutered ontology. For both Lévinas and Blanchot, language serves as the only escape from neutered being. Lévinas comes to understand, at least initially, dialog and conversation (interpellation) as the site where relational metaphysics (ethics) can occur. We need to remember, however, that for Lévinas, one’s subjectivity is always already riddled with alterity. That is, I cannot (ever) be myself without the (prior and primordial) dispersion of identity across the differential field of otherness. At its most fundamental, I would never have been myself had it not been for the genetic material inherited from my parents and grandparents or for the historical exigencies that moved my family from Europe to the United States. But Blanchot goes even further: he problematizes the pharmacology of the text by putting into question the question of writing and its relational distance to and from non-subjectivist ethics. Here I would like to explicitly move from the understanding of writing as a pharmakon that poisons—as well as cures—in order to examine more carefully the ethics of writing for Blanchot. 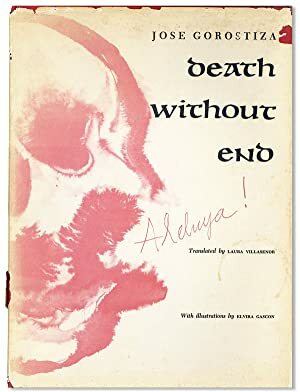 One obvious way to make such an approach is by way of Lévinas’ work on writing and ethics, especially as found in his groundbreaking Totality and Infinity . As far as Lévinas, in this text, is concerned, writing is unethical. Only the speech act itself—interpellation—allows for the opening toward exteriority, which is Lévinas’ own formulation of how the I escapes its totalizing, narcissistic, identitarian egology. Within interpellation, the other disrupts the homology of the I, supervening within the I’s perspective that the I is a self-contained whole. In the face-to-face dialogic of Lévinasian ethics (metaphysics), the fact that dialog arises overrides any signification of the words themselves. The ethical import of conversing—the act of conversation—then, resides in the back and forth of communication and not (ever) in the content of what is said. The saying, for Lévinas, overcomes the said (or anything that can be said). The fact that there is, outside of me, another human being with whom to converse trumps any kind (of) word I may receive from him. From this view, we can see how any communicable, ethical content (of communication) is denigrated, at least at first, in Lévinas’ phenomenological approach to ethics. So much of Lévinas’ critique of writing hinges upon his understanding of objectivity, insisting that the other always already stands in relation to the I and does not arise καθ̉ αυ̉τό. This relation functions as the foundation of ethics that one human being has with another. One, then, is never purely objective or disconnected from the other. We can see a basis for this view by thinking through the phenomenality of a so-called individual self, who is not only biologically and genetically composed of other selves but also, throughout its existence, existed as other selves. To approach someone from works [as opposed to through discourse, by way of the saying] is to enter into his interiority as though by burglary; the other is surprised in his intimacy, where, like the personages of history, he is, to be sure, exposed, but does not express himself. Works signify their author, but indirectly, in the third person. By referring to the injustice of entering into the otherwise inviolable interiority of the other (or even of the self) as “burglary,” Lévinas forgoes allowing writing its ethical aspect. Despite the severity of such a critique, it is upon writing’s foundation and the materiality of language itself that Blanchot is able to divulge the ethical dimension of writing. Precisely because writing has the ability to alienate the I from itself, it, too, exposes the self to exteriority, not only of language but of alterity as well. Furthermore, Blanchot disagrees with Lévinas’ initial assessment that written works signify their authors. By relegating the author into the third person, signification, representation, description all come up against language’s outside, which is where Blanchot will situate ethics in (written) language. The fact that writing renders the author useless by dismissing him or her into the third person turns out to be precisely the means by which Blanchot is able to explain, indicate, and perform the ethical nature of his anti-theory of literature. Blanchot’s own attempt to employ this kind of deauthorization of both the author as well as the subject (who, in turn, becomes the object of writing) marks his writings about his most intimate interlocutors: his friends Georges Bataille and, of course, Lévinas. I do not mean here to imply that we can simply substitute the alterity of the text (in Blanchot’s work) with the alterity of the other (in Lévinas’). Such substitution and exchange is fraught with the same kind of violence imposed upon language and interpretation that we can find evidence of in the tendency to generalize and universalize (terms and experience) in order to erode and cover over difference. It is this “uneasy analogy” that William Large critiques. Large instead argues that, for Blanchot, the narrative voice and the imaginary event of literature and writing undergirds reality itself, allowing for the externalization (in words, in the text) of the self. In writing, we do not ever merely deal with the interiority of a (Cartesian, Kantian, Freudian) subject. Writing displaces the subject, dislocates the time of the subject, and neuters subjectivity itself through the materiality of the word. For example, the I, in its lived experience, is always experienced as an engendered being, but as soon as the I is written and transcribed onto the page, neutrality—“neuteredness”—befalls it in its pervasive and persistent thereness. We see this most obviously in the employment of the neutered pronoun it when writing of the I. It is at the moment when one writes “I” that authorship and authority come undone, that the author steps outside of him- or herself. ♦ The writer, his biography: he died; lived and died. The writer writes to live on. Writing to live on, her life is a kind of survival. Sur-vival: a living beyond. Beyond what? One's own death. The writer's biography, then, continues long past her anterior death, before she ever writes a word. The writer can survive only by disallowing the text written, to be written. Bereft of text, the writer lives in a terminal interruption of the work of writing. In writing's failure. The writer's life, her biographical material, has only an "anecdotal significance." Therefore, let's begin again. Blanchot writes that literature—or what he later simply terms writing—has two slopes. One side slopes toward typical literary interpretive strategies by way of negation. By negation Blanchot here articulates the manner in which writing, by becoming transparent, communicates a certain content of language through language. That is, for example, by employing the cat, I negate any particular cat and in its place offer a universalized cat. The presence of the idea of a thing replaces the absence of the thing itself. With this idealized cat, I transmit, re-encode, and translate communicative content that you, to some extent, are able to decipher. Ultimately, however, no cat is there: an idea about a cat has passed between us, so there has been communication and translation, but I have not handed you a domesticated, carnivorous quadrupedal mammal of the genus Felis. That cat has already slunk away out of sight. The other slope of writing further vexes language’s power of abstraction. Literature does not merely re-present a metaphysical reality and then disappear after performing its conveyance of information. Upon the first slope, my word cat, whether spoken or written, refers to something with material reality, with metaphysical presence. Yet cat itself does not simply represent that corporeal feline; rather, it ideates the cat’s fur, tail, and whiskers, replacing its attendant body with a conceptual cat. The presence of the concept stands in for the absence of the thing. But upon this second, non-informational slope, cat exposes not only the absence of an actual cat but also the absence of its idealized concept. We translate the cat’s nonbeing not into the idea of cat but rather into an actual word that has its own weight, form, and rhythm—that is, we spell it c-a-t, we pronounce it /kæt/, and in English it rhymes with the words hat and rat. Upon this second slope of writing, there is a double absence: both the cat itself and the idea of cat have gone astray. It is as if that cat had never existed in the first place, leaving behind on the page the materiality of the word cat. Informed, of course, by Mallarméan and symbolist poetics, which emphasize the literary effect of language over representational function—correspondence over coherence—concrete poetry asserts that typographical layout is more important than the words themselves. The importance of the impermanent presence of the written word stresses textuality over representationality. This translation of a cat and the idea of cat into cat, then, achieves literature’s désœuvrement—its inertia, uselessness, inoperability, and unworkability. For Blanchot, then, literature demands that we experience this double absence as absence, that we too allow for the essential solitude of literature to exile us altogether from the text. Our seclusion and banishment from the text as readers, interpreters, and translators, however, do not reassert, by any means, the author in a privileged position. For lost among the infinite displacements of meaning and between the double voids of literature wanders also the writer. The text, in this way, de-authorizes even the author’s authority as an intimate expert. The author herself finds herself outside her own text: because of the work’s essential solitude, “He who writes the work is set aside; he who has written it is dismissed.” According to Blanchot’s anti-theory, we certainly can read any text as inscribed by the author’s biography. Many readers do exactly (and only) that. But my criticism of interpreters and translators who endorse these kinds of modernist and structuralist agendas do a disservice to reading in general by not allowing the text to speak any more than what they themselves are able to read into it. These stifled and stifling readings allow for only one possibility from upon only one slope of the text. If we stay put upon this first slope of literature, content with our clever, insightful, and historically as well as biographically accurate readings, we certainly have accomplished our self-congratulatory exegetical task. But that is not how Blanchot would have us phenomenologically understand our task as readers, writers, and exegetes. We still, nonetheless, must contend with our own inability to enter the emptiness at the heart of the text itself. The facticity of the writing’s ontological truth—the fact that it is and the fact that it speaks its own being—writes off both author and reader: “The poetic word is no longer someone’s word. In it no one speaks, and what speaks is not anyone. It seems rather that the word alone declares itself.” While Freudian, formalist/structuralist, and reader response theories indeed can help open a text to our understanding, once inside—after we analyze all allusions and word play—language’s matter, the exterior shell of meaning that while containing meaning also obfuscates and disseminates the possibility of absolute knowledge, lingers. Words themselves do not disappear after providing conveyance of information from one person to another. The text ultimately remains unworkable as we confront words—devoid of both material and conceptual referents—that simply refer (back) to other words in an infinite dispersion of meaning across the doubly aporetic center of language.